propagation and how well the radiation is captured. 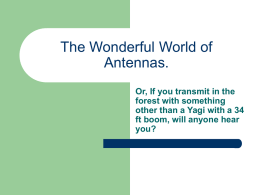 antenna is the same whether its receiving or transmitting. Copyright © 2005 by John Wiley & Sons. All rights reserved. 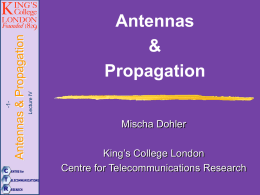 important parameters in characterizing antenna. radiation)  far field region. The spherical radiation pattern for an isotropic antenna. the same radiation pattern as E related by η0. component with its maximum value. function is equal to 1.
radiates and receives preferentially in some direction. 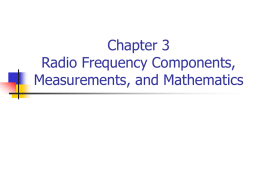 antenna design will seek to minimize the side and back lobes. 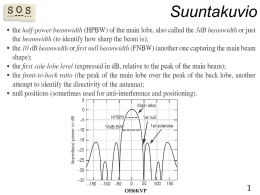 of the beam measured at the half power or -3 dB points. terms of its principal E and H plane patterns. •the x-y plane (azimuthal plane; θ=π/2) is the principal H-plane. 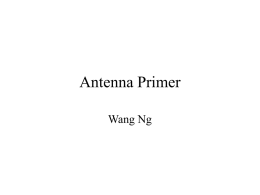 the antenna’s pattern solid angle or beam solid angle. circle’s radius defines a radian. radius defines a steradian (sr). solid angle is small and directivity is high. The beam is pointing in the +y direction. BW   BW  BW  . beamwidth is at half of total power = 0.5.   45 , so BW  180  45   45  90 .
so BW  180  52.5   52.5  75 . BW   90  75   82.5 .
y   sin 3 xdx   1  cos 2 x  sin xdx   sin xdx   cos 2 x sin xdx. Please continue on your own!! but, the integrals can be very complex. followed by simple differentiation to find the H field. structures via integration e.g. 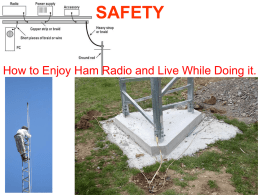 small loop antenna. It’s placed along the z axis as shown. pair of plates at the ends of the line that can store charge. 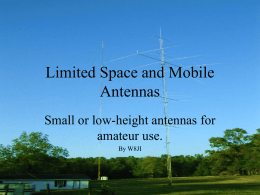 antennas, have much higher Rrad and thus more efficient. origin  small loop antenna or magnetic dipole. since F(θ) can be greater than one. 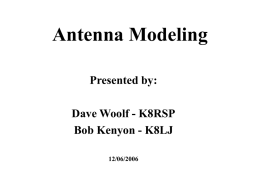 impedance matching network for this antenna impedance. 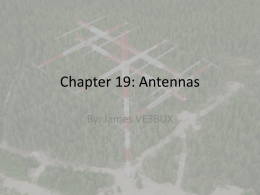 Xant, where for a λ/2 dipole antenna it is equal to 42.5Ω . 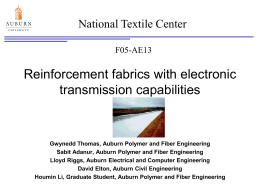 Therefore, total impedance by neglecting Rdiss. radius) copper wire operating at 1.0 GHz. is driven with a 1.0 GHz sinusoidal current. higher gain than the short dipole. 300m long and the half wave dipole antenna must be 150m tall. quarter wave monopole antenna that is only 75m tall!! field lines in the upper half plane are unchanged. a mirror image of opposite polarity. A monopole antenna is excited by a current source at its base. field patterns in the upper half plane. the pattern solid angle is different. The current amplitude is the same feeding each element. in phase current source and separated by λ/2 on the x axis. with current sources 180 out of phase. At 100 MHz, λ = 3m, so that 1 km away is definitely in far field. the plot of the radiation pattern. forward direction  high gain and easy to construct. used as the driven element in Yagi-Uda antenna. spacing, lengths and total array length. the radiation wavelength, and has a directive feed.